– The Bray Wyatt-Kane match felt widely inconsequential. With Wyatt entrenched in this “Mind Games” feud with Randy Orton, there was only so much ridiculousness we could muster. The match was barely memorable before we saw Orton come across the big screen upside down, because Wyatt stuff. His threat to turn Wyatt’s world right side up at NM was so weak. We imagine Wyatt was so confused and overwhelmed with this that he had no time for a Chokeslam from Kane and simply had to run backstage and take a countout loss. Kane stood alone with a busted lip and sufficed the moment with some forced pyrotechnics. Lucky us. – The backstage segment with Baron Corbin and Jack Swagger set up their later match, since we halfway expected it with the two in a feud. We want to like Swagger for his boldness in choosing a fight with the undefeated Corbin and he has his “We The People” thing, but what more do we really know about this guy? Some more background besides, “Oh, he has amateur success” would help him wonders. The dialogue between the two was a good thing though, since Swagger threw down a challenge for a match later and it was teased. – The backstage segment with Wyatt saw him look for Orton in darkened areas. Yup, this had potential. – The Nikki Bella-Alexa Bliss match with Carmella on commentary helped push the Bella-Carmella feud as well as a chance for Bliss to show off more en route to her Title shot against WWE SmackDown Women’s Champion Becky Lynch at NM. Carmella was decent as she spoke of her problem with Bella trying to upstage her in front of her hometown at SummerSlam, but she oddly sounded more British than New Jersey. We had some necessary quarrels between Carmella and Bella, as the heel taunted Bella from the table and got Bliss shoved into her. Although Bella had Bliss set up in the Torture Rack, it wasn’t long before Carmella attacked her to cause a disqualification finish. Post-match, Lynch came down to even the odds. – Oh look, a tag match. The Lynch/Bella-Carmella/Bliss match was a “SmackDown Classic” introduced yet again so that both high-profile SmackDown women’s feuds could get more airtime with physicality. Everything was over the place, but the finish was decent since we saw Bella spear Carmella to the floor and chase her away backstage while Bliss hit the Twisted Bliss on Lynch to get the pinfall. We weren’t surprised to see the Bella-Carmella match announced for NM. – The backstage segment with Wyatt and Orton this time saw Wyatt entranced by a lonely rocking chair in a red light. Low and behold, this was Orton’s grand plan, as he trapped Wyatt in a garage with the chair. That was it? We also were shown a security camera where we could see Wyatt pound on the door. – We’re all for charity and whatnot, but did they really need to have an exact replica of the Breast Cancer segment they had the night before? Just replace Enzo Amore/Big Cass with SmackDown Live General Manager Daniel Bryan and the replica Raw belts with replica SmackDown Live belts. At least Bryan pulled the cloth off the table better than Enzo. – The Vaudevillains-Hype Bros. match was probably done to establish “things heating up,” but all it did was spotlight how low all these teams are on the totem pole. Granted, we expected a Hype Bros. win from the get-go, but this was forgettable. Don’t even fit in The Ascension as they watched from the stage. How bad do you have to be for not even The Ascension to be impressed with you? Basically, you could’ve mixed and matched these teams in any way and the segment would’ve gone over exactly the same. Next. 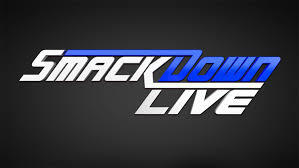 – One of the show’s highlights by far was the “Dolphumentary” segment as far as advancement for the storyline between Dolph Ziggler and WWE Intercontinental Champion The Miz. Maryse was also in there obviously, as we saw Miz host an episode of “MizTV” that focused on the shortcomings of Ziggler’s career. They brought back many things have gone to rest in Ziggler’s career, all in one hilarious, obviously doctored video package. Yup, we saw Ziggler as Kerwin White’s caddie, as Nicky from The Spirit Squad, his loss to Sheamus in the “Kiss Me Arse” rivalry, when him and AJ Lee were serenaded with poop from the ceiling and when he held the World Title for 10 minutes before he lost it to Edge. Even loved how they fit in edited interviews from legends with soundbites of negative words to make it sound like they spoke about how bad he was. Ziggler had a good argument when he brought up his humiliating moments and mentioned that for every bad moment there was, there was one that made him stay in the business. Things got better once Kenny and Mikey from The Spirit Squad came out to lead a cheer. Mikey might’ve twerked. Some of this was a gut-buster. Angry Ziggler definitely worked here and they set up the heel attack nicely once we saw Kenny/Mikey attack Ziggler before they both got superkicks. Miz was designed to narrowly escape without harm, which made us want to see Ziggler get his hands on him all the more. Some nice nostalgia for those “WrestleCrap” fanatics. – The backstage segment with Wyatt checked in on him in the locked room, as we saw him rock back and forth in the chair and talk to himself. Okay now. – The Jason Jordan-Jey Uso match was a short, yet good way to advance the own mini-feud between American Alpha and The Usos while still displaying The Usos as a genuine threat to the WWE SmackDown Tag Team Championships. Of course, it probably helped that they’d get their Title shot at NM against Champions Heath Slater/Rhyno. The match didn’t get a lot of time, but again we saw Jordan get the better of Jey, reminiscent to when the Usos turned. Sure enough, we saw the twins get revenge when they took down AA at ringside after the bell. Before they could finish the deal on Jordan, Slater/Rhyno came down to make the save, as the Usos avoided them. – The backstage segment with Wyatt continued things as we saw him this time embrace Sister Abigail as he told her to “take him on home.” Hmmm. We then saw Orton come to the garage door and open it, only to find Wyatt no longer there. He magically disappeared? How is that even possible? You see, the Broken Hardys stuff works on TNA because they trust in this magical world. WWE tries to sell Wyatt as someone who has legit powers. Makes it look so bush league. – Curt Hawkins dropped more “facts” on us as we learned his “announcement” was that he’d wrestle his first match at NM. We can’t wait. – The Swagger-Corbin match was designed as Swagger’s SD in-ring debut while it also continued their storyline. We guess it was supposed to be more physical, but it was more slow and disappointing. Luckily, they had a talking point with the finish that was set up to be controversial. Unfortunately, they wasted Corbin’s first main roster loss on a flimsy submission finish where he “tapped out” as he made his way to the rope but didn’t actually tap. We were kind of taken aback that commentary brought into the idea (besides JBL) as it didn’t look like he tapped at all. Kind of looked more like a doggy paddle. Anyways, Corbin’s post-match tantrum made sense as he was enraged. We’ll guess that this sets up a NM rematch where Corbin gets his win back or even better, demands this loss stricken from his record. – The closing in-ring segment with Styles, Cena and Ambrose was strong final NM hype for the big triple-threat. The most interesting part of it all was the Cena-Ambrose exchange, as we liked that Ambrose’s way of doing things didn’t “fit the corporate mold” of Cena, while we also had a clash between Styles and Ambrose, as Ambrose took offense with how Styles won the belt. It was also kind of funny to see both Styles and Ambrose gang up on Cena in the segment. Styles also took offense that Cena was being compared to Ric Flair. Ambrose got the final word, but Cena got the first strike when he hit Ambrose, which began a free-for-all. Our favorite part of this was that each of the trio got their own chance to stand tall. In the end, Cena got hit with a Phenomenal Forearm, Ambrose got hit with the Attitude Adjustment and Styles got the Dirty Deeds on the ramp as Ambrose stood tall to close it out. Again, a great segment to close out. They’ve done a solid job of making it feel like anybody was up to win, but we were confident that Styles would retain. Posted on November 27, 2016, in WWE and tagged AJ Styles, Alexa Bliss, Baron Corbin, Becky Lynch, Bray Wyatt, Carmella, Chad Gable, Curt Hawkins, Daniel Bryan, David Otunga, Dean Ambrose, Dolph Ziggler, Jack Swagger, Jason Jordan, JBL, Jey Uso, Jimmy Uso, John Cena, Kane, Kenny, Maryse, Mauro Ranallo, Mikey, Nikki Bella, No Mercy, Randy Orton, The Ascension, The Hype Bros., The Miz, The Spirit Squad, The Vaudevillains. Bookmark the permalink. Leave a comment.